Do you ever wish for the lights to come on in a room when you walk in so you don't have to search all over the place for the light switch?? How about the ability to dim your light WITHOUT installing a dimmer switch??!! 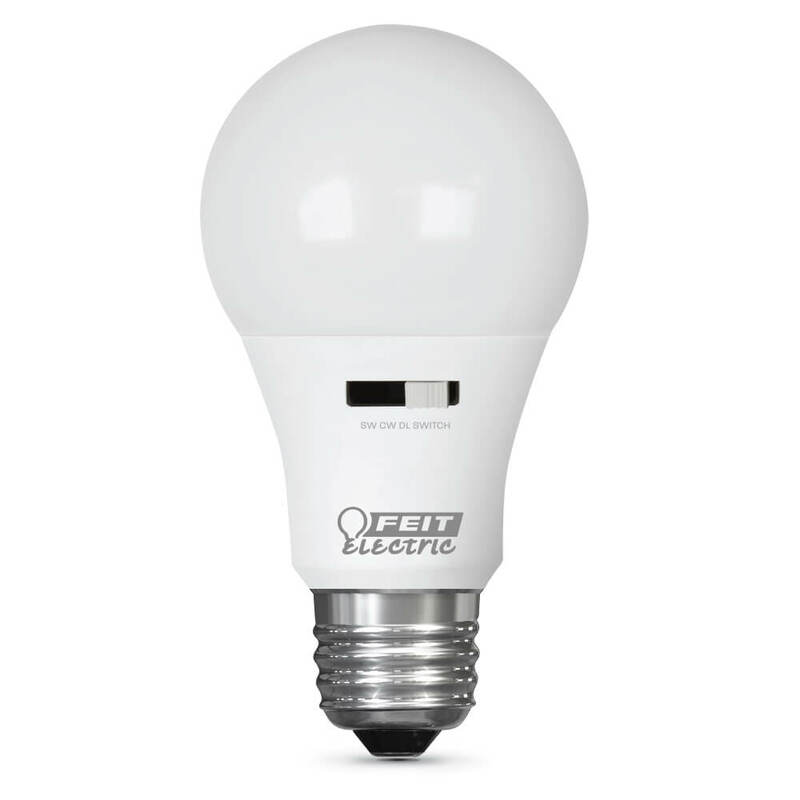 Well, now you can with LED IntelliBulbs from Feit Electric! 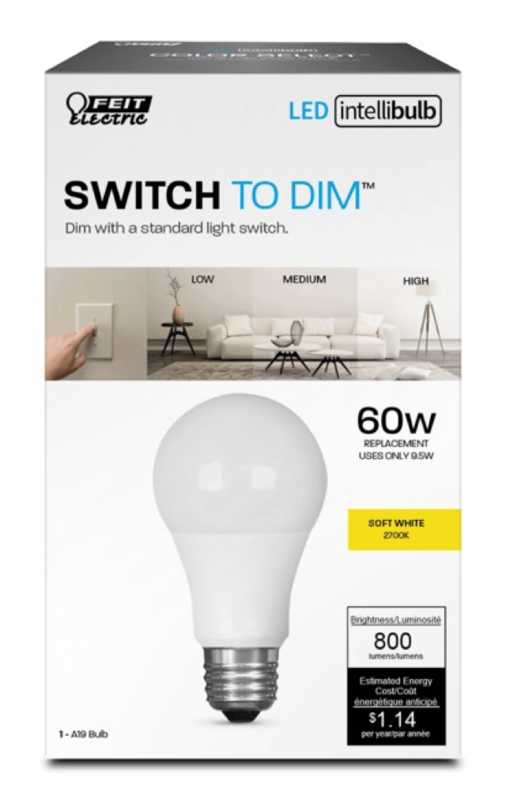 They recently announced the availability of its simply smart LED IntelliBulb lighting solution, five cost-effective, personalized simple lighting options to solve a specific problem/need a consumer has: Dusk to Dawn, Switch to Dim, Color Choice, Motion Activated and Battery Backup. IntelliBulb is ideal for consumers who are hesitant to adopt smart home tech as it doesn’t require additional hardware or apps to integrate into their home, or those who just want a simple DIY solution. With more than 100M US households still not owning a smart home device at the end of 2016, we need to find a way to encourage hesitant consumers to automate their home, or at least simplify their life – enter simply smart solutions that solve everyday problems, needs and/or desires, with products everyone uses every day. We received three really cool IntelliBulbs and we are loving every single one! Switch to Dim: Choose from three brightness settings - 100 percent, 60 percent and 10 percent - using a standard light switch. 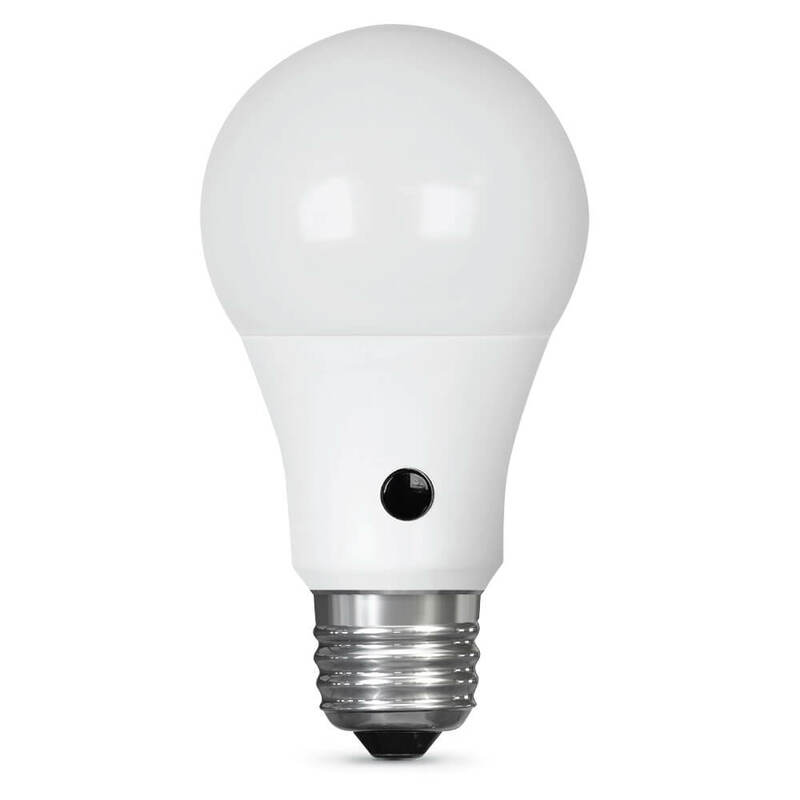 The A-19 and BR-30 light bulbs allow users to adjust the light intensity without the additional expense or effort of installing a dimmer switch. ColorChoice: Get three color temperature choices - warm white, cool white and daylight - in one bulb. Choose the desired color temperature using a standard wall light switch or pre-select using the switch on the bulb. Available in A-19 and BR-30, the bulbs can also be used with dimmers. Plus, Feit Electric just announced their partnership with the Susan G. Komen Foundation! In honor of National Breast Cancer Awareness Month this October, Feit Electric has created the A19/TPK/LED/SGK pink Susan G. Komen® bulb and will donate $50,000 to Komen this year, regardless of sales. The pink bulb comes on the heels of Feit Electric’s new LED Clear Glass Color Filament light bulb line. With a clear glass housing, the filament lights up pink when turned on, giving off a beautiful, colorful and bright glow. The bulb is currently available for purchase and sold exclusively at Home Depot. You can purchase all IntelliBulb solutions, except Battery Backup, A-19 bulbs are $9.99 MSRP and BR-30 bulbs are $11.99 MSRP. Battery Backup is $19.99 MSRP. Feit Electric is generously offering (1) Feit Electric Light Bulbs Prize Package to a lucky winner! 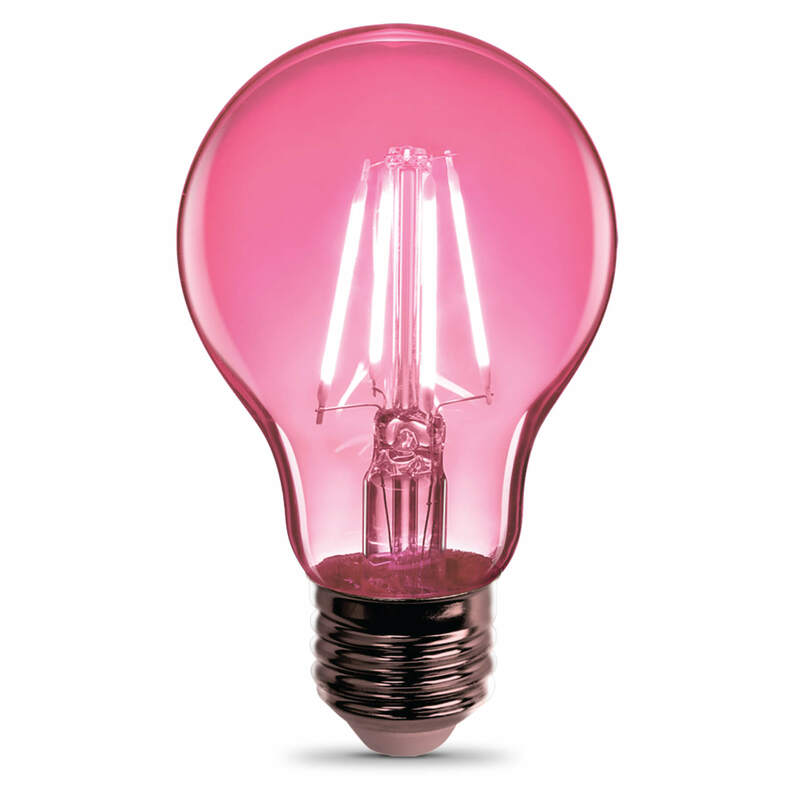 including the NEW pink Susan G. Komen® bulb, IntelliBulb,Vintage Curved Filament and MORE!